I made another youtube video, gang! You can watch it by clicking below, or go over to my Youtube channel, Candyflossoverkill to watch this and my previous video. 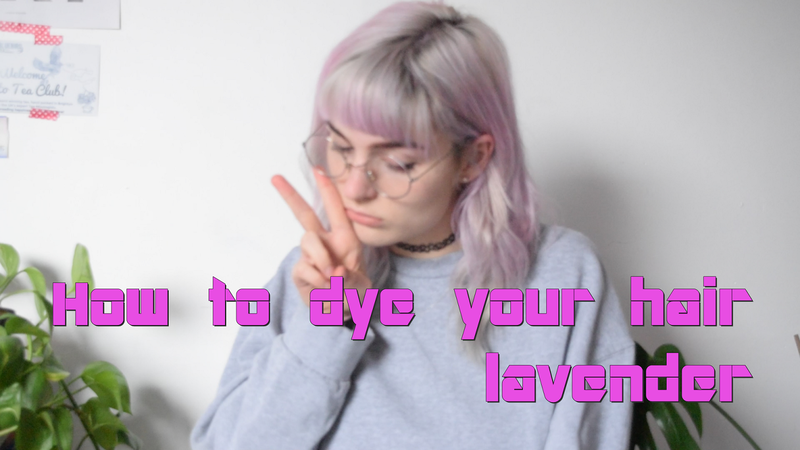 This spring, I decided to go lavender again, and after pretty much using up Crazy Colour's lavender, I picked up the directions lavender I had lying around and finally got round to using it. I was pretty impressed! It packs a punch and turned out really cute, if quite pink. Do you ever do a shop, and you only buy things which were like actually necessary and you feel really virtuous? That was me a few of weeks ago- I went to Boots and only bought necessary things. Go me! Venus Snap// The handle of the razor I've been using for like 5 years snapped recently (it had definitely seen better days, but I was strangely emotional about breaking the old one- it had seen me through prom, Japan, uni.... actually, yeah it was v v old and I possibly should have chucked it years ago) Anyway. This one was on offer for £5 and it's so small and cute and has a little carry case. It's also really easy to shave with, which I wasn't expecting somehow. If you see it for a fiver, I think it's good for travelling or just everyday. Vaseline intensive care body cream// this isn't a very glam purchase, (and I forgot to bring it home so I couldn't take a photo of it) but it's a really moisturising cream so it was perfect for all the cold weather we've been having in the UK. It was also on offer, score. It sinks in really quickly and it smells nice- not reaalllly expensive smelling, but not too strong. I've nearly used this up already actually! Rimmel insta- matte powder in transluscent// They didn't have this in fair, so I got it in transluscent. You can tell I've had this for a while now, because I've used up a fair bit of this. Although the packaging is nicer than my normal powder, Rimmel Stay Matte, I actually thought this wasn't as nice... it's reallly matte, but it's a bit powdery, and it's both smaller and more expensive than stay matte. I think I'll definitely be going back to Stay Matte after I've used this. 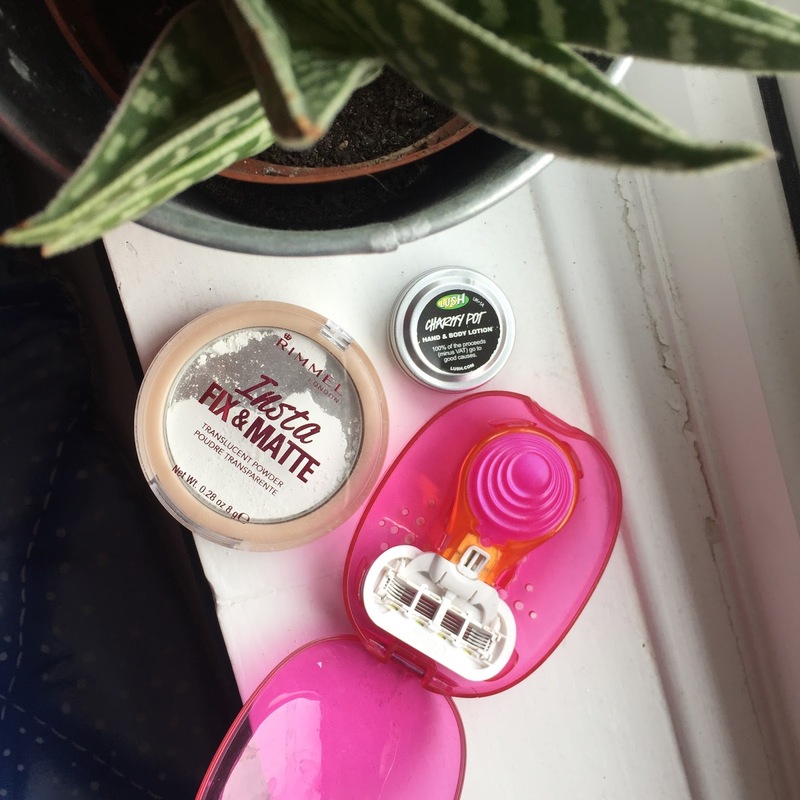 Lush Charity Pot// This is £1 at the till in Lush when you buy something- the little tin is perfect for overnight travel, and once you've used it up, the little tin is a great size to put cleanser or something like that in. I keep picking these up and I need to stop and get the actual pot tbh.